Attempting to sketch the story of Cropwell Butler over almost 1000 years presents problems. Information about small settlements in medieval England is scarce and in the early centuries is generally limited to the ownership of land and property. The two great local powers were the church and the secular landowners. Ecclesiastical parishes were established by law in Saxon times, and Tythby and Cropwell Butler have been a single parish since the earliest days. After about 1600 more historical detail is available but it is not until the 19th century that Cropwell Butler becomes more recognisable as the earlier version of today’s village. A great deal more has been written about Cropwell Butler and the Parish Council has a copy of a much longer version of this history which you can download a copy by clicking on the the book icon a cross on the right sidebar. There is evidence that there was a Saxon settlement here before the conquest and Ulric had a manor (meaning an area of land rather than a house), exercising some sort of local control. William of Normandy, the Conqueror successfully invaded England in 1066 and, to establish his authority, he gave lands to his henchmen so that through them the king’s rule might rapidly become secure and absolute. The nobles tightened their grip on the land and the feudal system was further entrenched. At the Conquest, the area was called Crophille which seems to have referred to Hoe Hill. Sometime after 1154 the Earl of Chester, who lived in great style in Warrington in Lancashire, acquired the lands hereabouts but gave the outlying Manor of Crophille to his Bottiler or Butler. The position of the Bottiler in a great house might today be the equivalent of a Steward or Agent of a large estate and from this it is assumed that in time Crophile Bottiler became Cropwell Butler. Tythby had a stone church from the 13th century, built perhaps on the foundations of an earlier structure. At some stage, Cropwell Butler had its own medieval church, dedicated to St Nicholas, situated somewhere near the approach to Butler Close. This was demolished around 1660. Moot House Pit, an excavation 120 yards by 70 yards just beyond the top of the rise going into Upper Saxondale, was the site of the local Parliament where meetings were held to settle disputes by formal discussion. It survived until the 17th century. Since the dark ages, people viewed the monastic life of poverty, chastity and obedience as the ideal Christian vocation. From early beginnings grew the great monasteries, but beyond the monasteries personal devotion went hand in hand with warfare and the exercise of privilege. But the rich needed to safeguard their futures, even beyond the grave, and this led to the practice of giving property and particularly land to the great monastic houses. Thurgarton Priory, founded in 1140 grew rich in bequests, for which the monks said masses in perpetuity for deceased benefactors. Sometime in the reign of Henry II, Matthew de Vilers gave land at Cropwell Butler to Thurgarton Priory but ownership of the church went to the monastery of St Martins at Sais in France. In 1347 the Black Death, a deadly plague, swept the country and within 3 years 1.5 million of England’s population of 4 million was wiped out. The death of so many created an acute shortage of peasant labour and, as a result, landlords no longer entirely had the upper hand. The effect of the plague was to usher in the end of the feudal system and gradually the yeoman farmer and the independent merchant replaced the slave-bound serf. Much of the land in Cropwell Butler gradually became more valuable for sheep grazing than cultivating to feed the peasants and so the first enclosures of land for pasture began. Land enclosure, a feature for centuries, often deprived smaller landowners who were unable to challenge in law the changes being imposed. In 1493 Sir John Butler enclosed 6 acres of common land in Cropwell Butler and shortly afterwards Thurgarton Priory followed suit and enclosed more common land. The displacement of farm labourers almost certainly rendered them homeless. It was about this time that the Butler family connection with the village began to fade, at least as lords of the manor. Henry Vlll faced many problems including his need for a male heir, clashes with the Pope over ecclesiastical authority, and chronic shortage of money. Finally in 1533 Henry broke with Rome and steadily disbanded Catholic monasteries and all religious houses. The land and property owned by the monasteries went to the crown and to the universities, and by degrees to the wealthy and privileged who had taken the king’s side. Today land adjacent to Cropwell Butler in Tythby is still in crown ownership. The people of Cropwell Butler now had new masters who oversaw their lives. 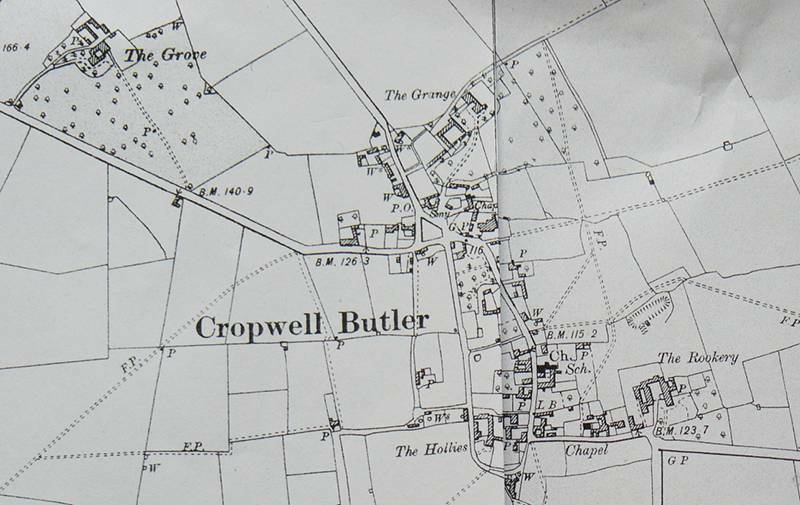 In 1603 the population of Cropwell Butler was about 300 and rose to 362 in 1801. About 500 acres of land were sold in Cropwell Butler in the early 1600s and among the purchasers was a certain Thomas Smith. His son, who prospered as a mercer (dealing in various cloths), bought a house in Peck Lane in Nottingham. Here he permitted famers to deposit cash for a limited period from their weekly market trading for which he made a small charge. Gradually the business turned into Smith’s deposit bank and the branch of NatWest on the corner of South Parade in the Old Market Square still bears the name of Smiths Bank on its nameplate. Charles l became King in 1625. He held the view that God had appointed him to the throne and that Parliament should simply carry out his wishes, but the common people of England, principally through the House of Commons, defied the crown. In due course a civil war was inevitable, Parliament versus the King, and bloody battles were fought throughout England with countless people slaughtered. Locally Newark and Nottingham were heavily involved, mostly on the King’s side. In 1627 Sir George Charworth was created Viscount and he sided with the king maintaining Wiverton Hall against Cromwell until forced to surrender in 1645. His residence in Cropwell Butler was at the Old Grange, a house which existed into the 18th century until replaced by the present dwelling. Farming was a communal business and from earliest times was organised in Cropwell Butler by a Manor Court which assembled twice a year. Here decisions were made on the land to be cultivated and the crops to be grown. From the year 1738 there is a good record of what had now become a self-governing and largely self-supporting village. The parish appointed a constable whose duties included keeping accounts and carrying out the Manor Court’s instructions. From the mid-18th, century the Manor Court selected volunteers, or men otherwise chosen by lot, to join the militia. The Open Fields layout, the basis on which the medieval feudal system of working the land had continued for centuries, was coming to a close. Over half the land, about 1004 acres in Cropwell Butler, had already been enclosed, the fields divided into areas hedged or fenced to contain animals. Some 873 acres remained open plus 40 acres in Fern Field divided between the two Cropwells. By the late 1700s there was a national move for enclosure which came about to improve the productivity of arable farming and to limit the spread of disease among cattle. An application for land enclosure was approved for Cropwell Butler by an Act of Parliament in 1778. The result of the enclosure was that George Charworth, of Wiverton Hall and the Grange at Cropwell Butler, became the largest individual landowner. Again, many small farmers were turned off the land and deprived of a living. By about 1775 the first commercially practical steam engine was available. Then, slowly at first but with gathering pace, cottage industries in the villages were replaced by steam driven factories and mills in towns and cities. Employment opportunities in the countryside gave way to the new manufactures and the industrial revolution was underway, although in 1857 some seventy women in Cropwell Butler still completed unfinished lace by hand in cottages in the village. The population of Cropwell Butler fell from a maximum of 695 in 1851 as rural decline set in and did not recover for almost 100 years. From 1793 the Grantham Canal was built and some displaced workers found employment in the construction and operation of the waterway. A link in the form of a spur was planned to connect the canal with Bingham but this was never built. The heyday of the canal was in the first half of the 19th century until it was superseded by road transport. The canal was closed in 1936. Steam locomotives and travel by train began in the 1830s. By the mid 19thcentury railway mania had the country in its grip and fortunes were made and lost in what became a glorious speculation. The impact of the railways was profound and utterly transformed many aspects of life in the country. They made possible journeys that a generation before would have seemed completely implausible. They boosted all kinds of trade, stimulated economic development and brought in their wake a whole host of social and political changes. Cropwell Butler was well served by the rail at Bingham. Each parish had the responsibility of providing support for the poor but such was the cost that generally only the minimum could be managed. From the 18th century at least, villages would issue Settlement Certificates, a document of entitlement, only to those living locally. Vagrants, beggars and wanderers were often sent to a house of correction; in the case of a local, Mary Leatherland, to Southwell in 1735. Conditions in these institutions were harsh in the extreme. Cropwell Butler subscribed to a workhouse at Gedling in 1808, then at Basford in 1814 and, when this closed, to a new place at Bingham in 1834. 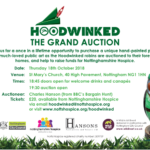 Several charities for the poor were established in the long period from about 1700 and the names of benefactors included Fillingham, Marriott, Parr and Waring, are all from Cropwell Butler. By 1800, the centuries-old practice of one wealthy but remote landowner was beginning to break down into something that is more familiar today. In 1837 Henry Parson Smith bought land from George Chaworth on which he built The Grove. His son in 1853 bought the manorial rights and became the squire. Henry Smith Jnr was to have great influence over Cropwell Butler for the next hundred years, his descendants finally dying in the 1970s. Private schools existed in the village, by 1845 a village school had been established in what is now School House. Enlarged in 1859 and again in 1866 it accommodated about 120 pupils The Education Act of 1870 established full time, compulsory education for children aged 5-13 and Board Schools provided the framework of education throughout England. In 1902 a further Act established secondary education. 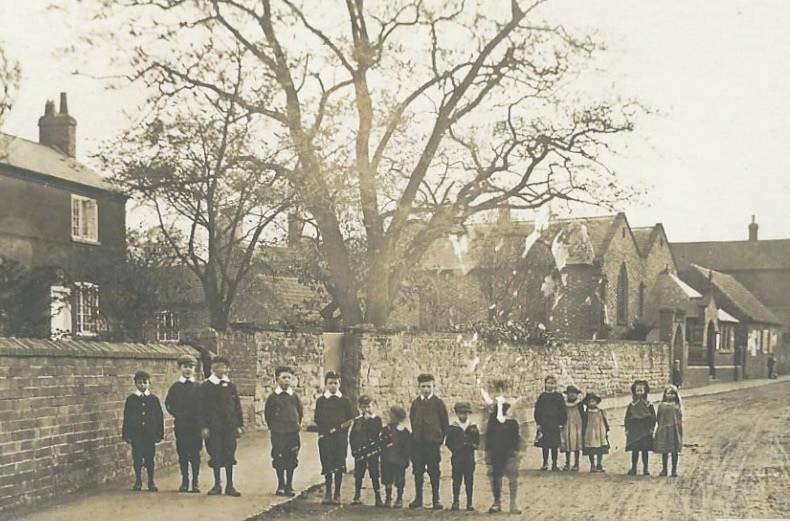 A small school, perhaps 12 – 25 children, also existed for a time in Tythby. It was essentially a dame school (a school in which the rudiments of reading and writing were taught by a woman in her own home). By 1871, the provision of schooling in Cropwell Butler was considered quite adequate for both villages. The Education Authority later required a more suitable building to meet the needs of secondary education and in 1909 a new school was opened. This served Cropwell Butler until 1968 when infant and junior children were transferred to a new school in Cropwell Bishop and secondary school children continued their education in Bingham at Toothill School. The closing of the school and transfer of the children to Cropwell Bishop was not without opposition, particularly as there was no bus service and the road to and from school considered dangerous without a footpath. The old school was later purchased by public subscription from the Education Authority and in 1971 re-opened as the new village hall since when it has thrived. The old village hall, a timber structure, had been in use since 1929 and was sold in 1971. Methodism first came to Cropwell Butler in 1773 when the house of Thomas Innocent was licensed for the meeting of ‘Protestant Dissenters’. By the early nineteenth century the original Wesleyan Chapel (now the present schoolroom behind the chapel) had been built using money collected from local people. In 1903, the building was significantly extended to its current size with the opening event including the use of a marquee erected in the field opposite. Primitive Methodists opened a chapel in 1845, remaining until the twentieth century merger with the Wesleyans. By 1900 it was clear that additional burial ground would soon be required, the graveyard at Tythby church being almost full. The Parish Council agreed to purchase for £60 one acre of ground adjacent to the Cropwell Bishop road known then as Cow Close, and the scheme proceeded. 18 men from Cropwell Butler gave their lives in the First World War. 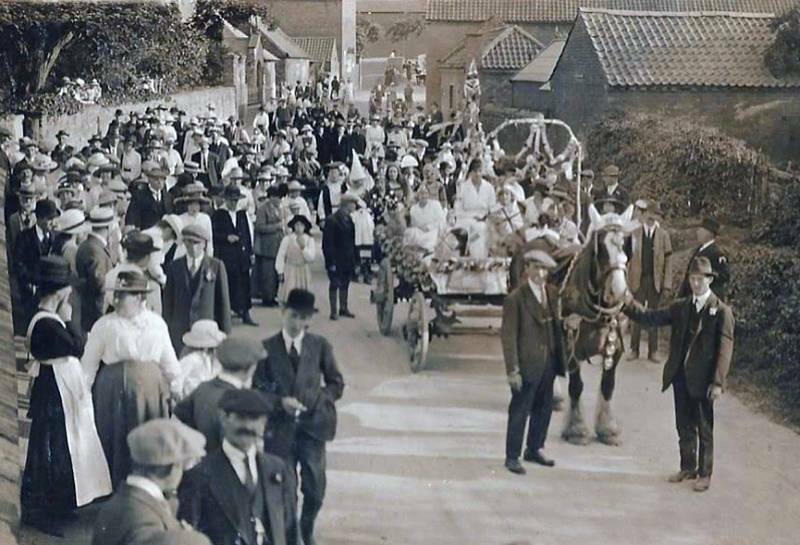 The village reacted to the sacrifice and in 1920 the parishioners subscribed money for a lych gate as a memorial to those who had given their lives. 100 years later the lych gate was refurbished and now has English Heritage status. 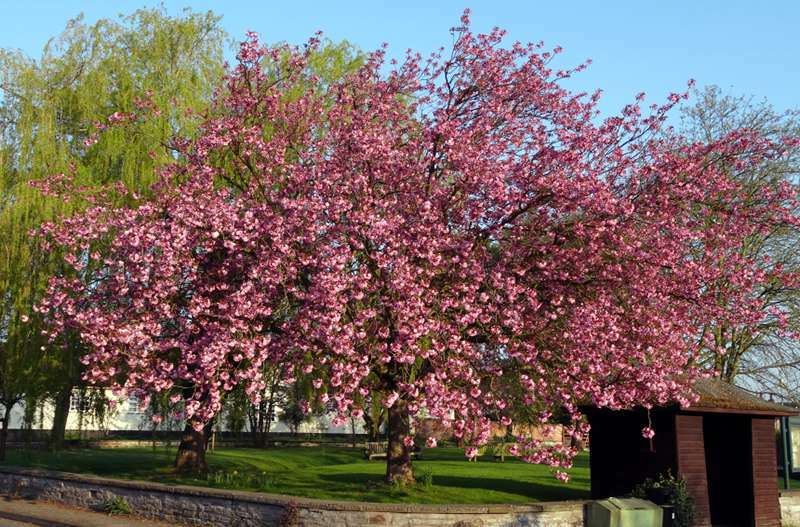 In 1959 the land called the Cabbage Patch was made available to the village and became the village green. It had previously been the site of older cottages which had been demolished many years earlier. The land was bought by the village and cleared of all the former allotments. The amount collected was £116, the land costing £65 and the remainder used to re-model the site. Trees were planted and by 2015 the Green was quite heavily wooded. Memorial seats were presented at various times making the area increasingly attractive. In 1894 the Local Government Act was passed which created local authorities and Parish Councils came into being. Cropwell Butler held its first Parish Council meeting on 4th December, 1894 although the arrangements for the meeting hardly appeared to be very democratic. Henry Smith, the squire, turned up and took the chair and told those attending to fill in nomination papers. By one autocratic means or another, he arrived at the 7 men needed to form the Council. Henry Smith, after being heartily thanked, went home and had nothing more to do with the Parish Council. The 7 men comprised 3 farmers, 2 wheelwrights, a butcher and a shepherd, no doubt a good representation of local employment. They in turn appointed 4 constables, a butcher, a saddler, a blacksmith and a baker to see matters were carried out in the community. On 25th March 1895 it was resolved that the public should not be allowed into Council meetings – the business was to be carried out privately. 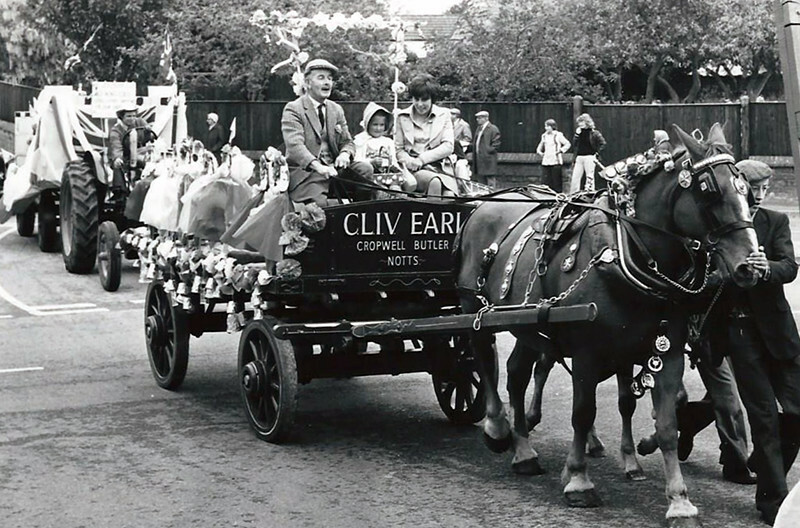 There were celebrations, prompted by the Parish Council to mark Queen Victoria’s Diamond Jubilee in 1897 in which seemingly vast quantities of beef, ham and tongue were consumed, and again for the coronation of King Edward Vll where 3 barrels of beer were disposed of. The Council thrived and dealt with important but largely repetitive matters for countless years generally meeting just twice a year. The Council was involved in the selection of the site for the new school, the sale of walnuts from the cemetery for 15/-, and taking responsibility for the village pump when it was gifted to the parish by Cuthbert Smith. World War l passed almost without notice except to send condolences to Mr Musters on the loss of his sons. The Council was more involved in World War ll and actively encouraged several war efforts. In 1942 £14-9-8 was raised and equally divided between the Captain and Crew of HMS Snapdragon and the Cropwell Butler Comforts Fund. There was also a Tank Week although its purpose is not recorded. Victory was celebrated in December 1945 with a free tea for all residents, a fancy dress parade and an evening dance in the village hall. By 1964 thirty three older houses and cottages in Cropwell Butler were scheduled for demolition by Bingham Rural Council. The Medical Officer of Health stated that the houses were unfit for habitation “by reason of their bad arrangement or the narrowness of the streets, and that the most satisfactory method of dealing with the problem would be to demolish all the buildings. 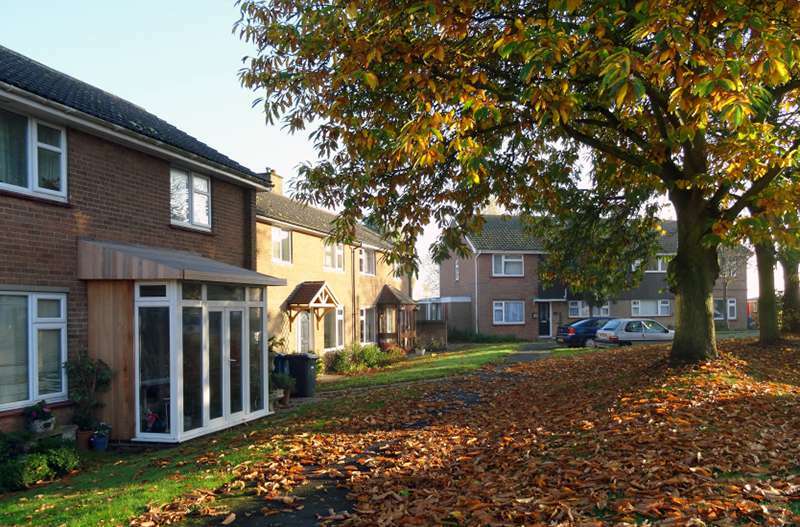 The Council had purchased a plot of land near existing council houses on which about 30 buildings would be built.” The decision had a mixed reception in the village. Most people accepted that many of the properties were damp and lacked modern facilities, but nevertheless they were homes to many who had occupied them for years, or even decades. 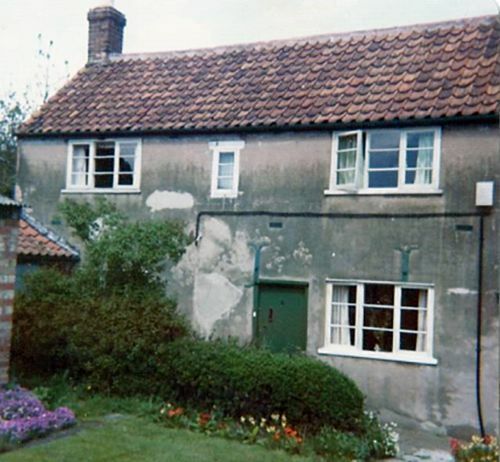 The rents were cheap, the deficiencies it was claimed could be put right without demolition, and that a new estate would be remote from the shops and facilities at the centre of the village. Houses made subject of the clearance order were on every road in the village. In the event the project went ahead and Butler Close was built. The first occupants took up residence in 1967. This was the Advertiser’s headline on 9th August, 1975 announcing the fact that the village had won the Best Kept Village Award for the third year in a row. The chairman of the Parish Council, who was said to be jubilant, stated that “it (the award) shows the excellent co-operation that exists between the parish council and parishioners”. Such was the euphoria that not only did Mayor of Rushcliffe attend the presentation but refreshments were served in the village hall. 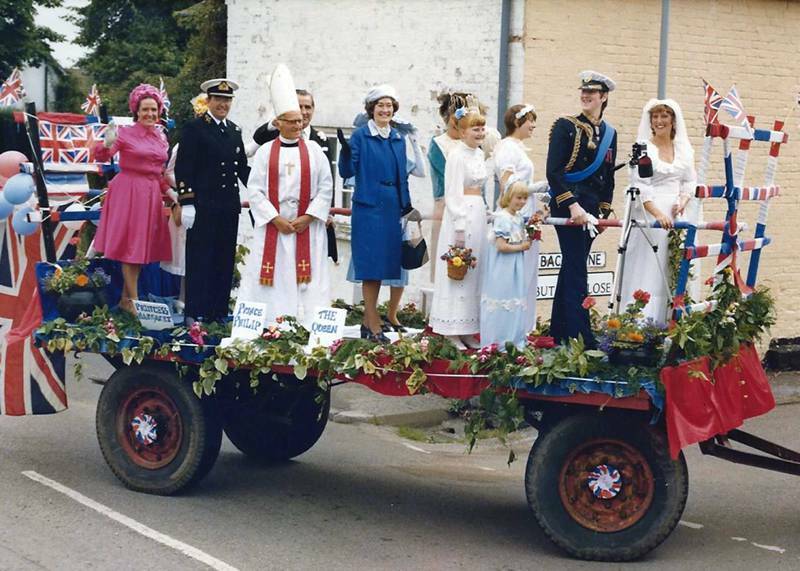 The village has enjoyed itself at every national event from the end of world wars to celebrating royal occasions. Here are three photographs, older and newer, to show enthusiasm for a ‘good time’. The first is in 1919, the second the Queen’s Silver Jubilee, and the third, a Royal Wedding. There can be no doubt about the enthusiasm for celebration. The story of The Grove is closely associated with the Smith family and is interesting because they had a significant effect on Cropwell Butler for about 90 years, from 1837 to 1928, a period of great social, technical and economic change. By 1871 Henry Smith Jnr had increased his land holding and acquired 51 of the 151 houses in the village. He generally behaved as the Squire, employing numerous people on the land or in service in his rather grand house. He had seemingly autocratic authority over the lives of almost everyone in Cropwell Butler in what was the high Victorian era. He built The Cottage in 1855 in the village for his mother and sister. This rather modest name was later changed to Mahon House, its regency appearance denying its later construction. Henry Jnr’s son, the third Henry or Harry Smith, became famous for pure-bred Lincolnshire long wool sheep, many of which were exported to numerous countries. In turn he was succeeded by Cuthbert Chappel Smith, 1899 – 1979 whom some in the village in 2015 will remember. John Samworth, a successful businessman who lived at The Grove from 1976 until his death in 2014, took a great interest in Cropwell Butler. He continually supported local activities sometimes intervening to ensure that village institutions were provided with the means of renewal and improvement. Other Houses The larger ones include West Lea, once a home for clergymen, and The Poplars, like so many dwellings, once a farmhouse. Despite their differing appearance The Grove, Cropwell Court, The Court, The Hollies, Fields Farm, The Grange, Mahon House and Rookery Farm were all built within a period of about 35 years or so, in the mid to late 19th century. 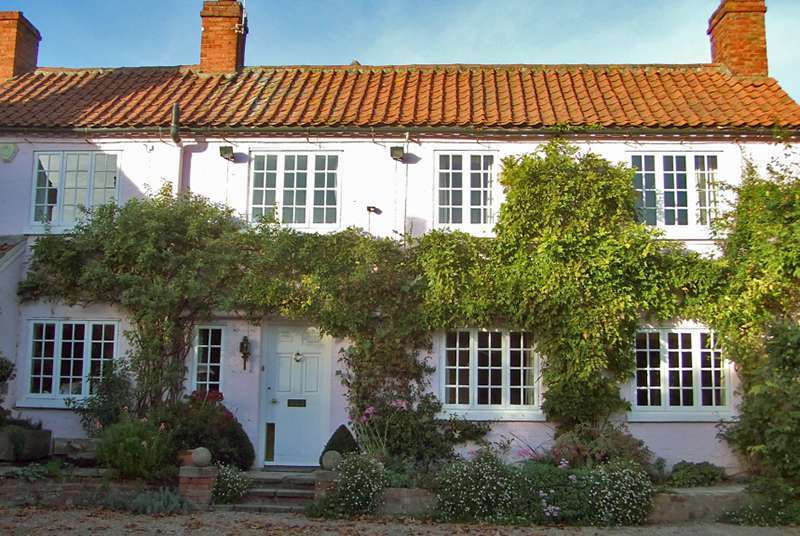 Additionally there are many delightful older cottages and modern houses which keep Cropwell Butler a village with diverse dwelling houses. Village House, below, is a fine example of a cottage-style house, in the spring the front a riot of blue wisteria. In 1967 Philip Harrison modernised what had been partly an old chapel into what the Nottinghamshire Guardian called “Agricultural Service for the farming community”. In fact the Harrisons had been providing such services for three generations as the following pictures show. Harold Harrison is shown as a younger man, second from the left in the picture. Much earlier Cotton and Starbuck had a similar business in Cropwell Butler, and an invoice from the 1920s bore the legend “Horses Carefully Shod”. Roy Barratt and Arthur Swann started off their association as friends in the 1950s. Believing they could make a business in joinery they formed a partnership and took on any sort of joinery all from a garage workshop near the Beehive Cottage on Hardigate Road. 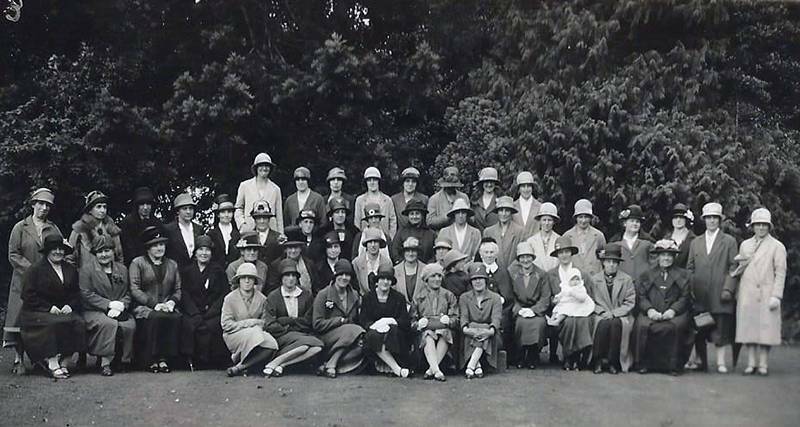 The business prospered, better workshops were constructed on Hardigate Lane and work came from all directions including a gift shop in Buckingham Palace and modifications to an entrance in Windsor Castle. 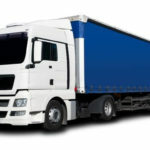 The business thrives under the next generation of Barratt and Swann, well known particularly for kitchen furniture, for which a fine showroom was provided. Other businesses are here in Cropwell Butler or have been and gone. At one time there were three public houses in Cropwell Butler. The Leather Bottle still exists as a dwelling house but no one can remember when it was last a pub. The Royal Oak also exists as a house but this was also a pub and small shop in the 20th century. The Plough has been a pub for decades and in 2015 was owned by Punch Taverns, the licensee being a tenant of the company. Additions were also made at the rear and the gardens were made attractive to visitors. In earlier days only the left hand side was used as a pub. The right hand side, a village bar in 2015, was originally living accommodation.